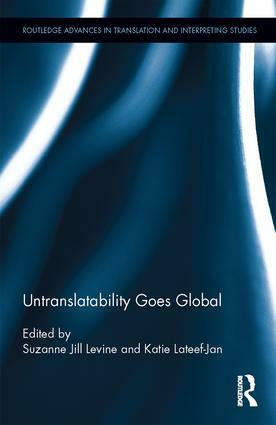 This collection brings together contributions from translation theorists, linguists, and literary scholars to promote interdisciplinary dialogue about untranslatability and its implications within the context of globalization. The chapters depart from the pragmatics of translation practice and move on to consider the role of the translator’s voice and the translator as author in specific literary works. The volume as a whole seeks to study and at times dramatize the interplay between translation as a creative practice and its place within the dynamic between local and global examining case studies across a wide variety of literary genres and traditions across regions. By highlighting the complex interface between translation practice and theory, translator and author, and local and global, this book will be of particular interest to graduate students and scholars in translation studies and literary studies. 4. The Self-translator’s Preface as a Site of Renaissance Self-fashioning: Bernardo Gómez Miedes’ Spanish Reframing of His Latin "mirror for princes"
10. Leila Aboulela’s　The Translator, a translational text? Suzanne Jill Levine is a leading translator and critic of Latin American literature, and distinguished professor at the University of California, Santa Barbara, where she directs the Translation Studies doctoral program. Among her many honors she has received National Endowment for the Arts and for the Humanities grants, PEN awards, and a Guggenheim Fellowship for her literary biography of Manuel Puig (FSG, 2000). She is the author of The Subversive Scribe: Translating Latin American Fiction and editor of Penguin’s 5-volume paperback classics of Borges’ poetry and essays. Katie Lateef-Jan is a PhD student in Comparative Literature and Translation Studies at the University of California, Santa Barbara. Her doctoral research focuses on twentieth-century Latin American literature, specifically Argentine fantastic fiction. Her translations from the Spanish have appeared in Review: Literature and Arts of the Americas and Granta.